There’s no doubting that the word on everybody’s lips in the mobile industry this year is 5G, the next generation of mobile networks, promising vast improvements in browsing speed and network capacity, and enabling future use cases. But two years before anticipated commercial roll-outs, little is really known about 5G, and what its impact will really be. 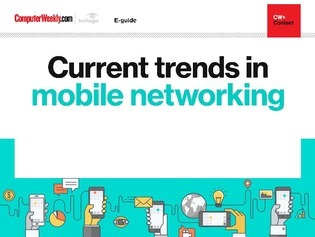 In this e-guide to mobile networking we help shed some light on the technology, exploring current approaches to 5G, checking out the landscape and finding out how government, regulators and the industry itself are helping lay the groundwork for the future of mobile networking, as well as learning how the conversation moved on at Mobile World Congress 2018 at the end of February. Of course, 5G is still just one part of the picture. There’s plenty of mileage left in 4G mobile networks, and we will also examine how the current mobile networking standard is still being enhanced and refined. Finally, with Brexit less than 12 months away, we will explore the possibility that British travellers to the EU will once again have to pay sky-high mobile roaming charges after March 2019. Business travellers and tourists alike heaved a sigh of relief last year when EU legislation eliminated these charges – could they be about to make a comeback?